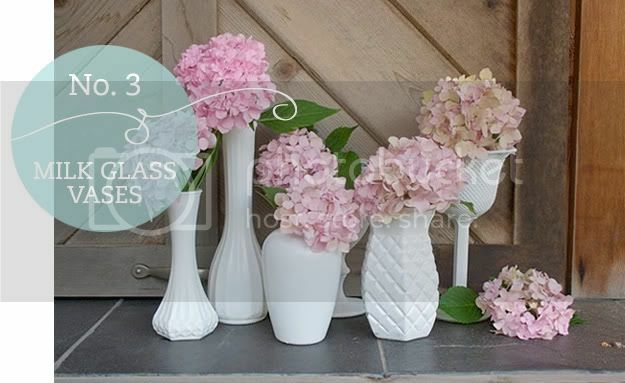 I simply adore milk glass. Finding real vintage milk glass can be pretty hard, not to mention expensive, so if you're looking for a cheap (and still lovely) alternative, give this DIY a try! Click here to make your own milk glass. I'm pretty fond of this little DIY because I LOVE candles! I actually really enjoy making candles as a hobby, but I would have never thought to use a teacup as a holder! Boy, I tell ya, she's a genius! ;) Easy, super cute and perfect for wedding favors, home decor, showers, etc. 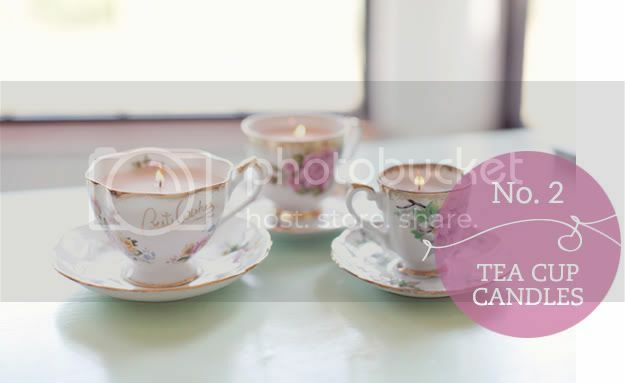 Click here to make your own teacup candle. Major cuteness alert!! This is my favorite Hey Gorg DIY!! When she posted this a few weeks back, I was completely smitten! It was bookmarked and pinned right away! ;) This garland would be fabulous for a bridal shower, an outdoor party and or even a nursery. Click here to make your own dixie cup garland. So there ya have it... my Top 3 Hey Gorg DIYs. If you want to see more pretty projects, head on over to Hey Gorg and get inspired. I can't wait to see what else she has up her sleeve! So what do you think? Do you have a favorite Hey Gorg DIY? Ooo I have not heard of this blog yet so I will check it out. 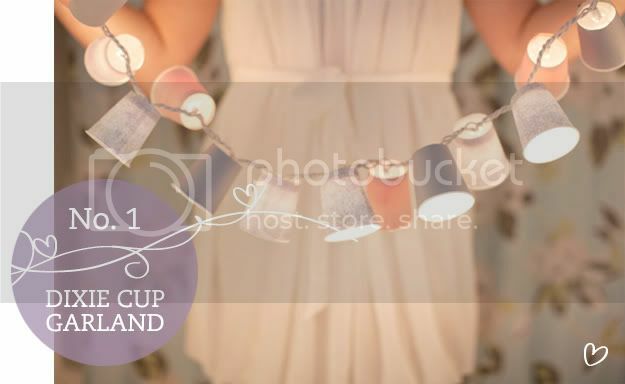 Love the tea candles..what a pretty and elegant idea! Oh and I love the new blog look!! Look great girl! I love that blog! Its so great. Everything is so beautiful. And her office! TO DIE FOR! They really are great ones! Gorgeous ideas! I am loving all three! Rhi has awesome DIY's. i've been wanting to do the milk bottle ones really badly. So chic, I love them all! I love this round-up of all of Rhi's DIY goodness! I definitely need to decorate my new apartment in those teacup candles! Very lovely post! Shes a doll!